Pools are more fun when enjoyed safely! Millions of people every year enjoy the warm summer weather and beat the heat by swimming in backyard pools. There can be quite a few safety concerns when it comes to swimming though; do you know if your swimming pool is equipped with the proper safety features? 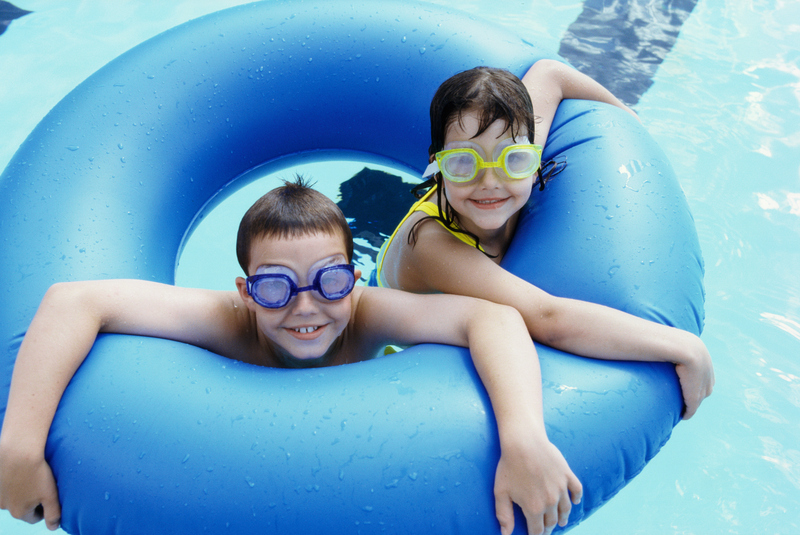 Let’s explore six tips to keep you and your family safe this summer season. It’s a good idea to surround your residential pool with a barrier like a fence with a self-latching gate. When the pool or hot tub is not in use be sure to cover your pool and remove any step ladders that provide access to the pool. Some contractors even provide automated pool covers to allow for ease and peace of mind. While it is common sense to keep children under supervision at all times, sometimes this tip needs to be reinforced. The American Red Cross reports that over 200 children drown in swimming pools each year; keeping children within arm’s reach and never allowing them to swim alone can help prevent tragedy. Buy your children or other adults in your life swimming lessons to ensure that everyone knows how to swim and understands basic pool safety. Even refreshers like treading water and how to swim quickly can make everyone feel more at ease. Remember if a child does not know how to swim, floatation devices are a great way to get them used to the water. Ensuring that your pool water is clean and clear is one of the best ways to make sure your swimmers are having a positive and safe experience in your residential pool. Maintain the proper chemical levels in your pool, testing them often and make sure your filtration system is running efficiently. This can minimize the risk of earaches, rashes and other diseases caused by unclean water. Make sure everyone in your home is prepared and knows how to respond to an aquatic emergency. Consider having someone in your become CPR trained along with basic first-aid to avoid emergencies. Have you considered that installing a residential pool might be the right thing for your family? Kick back and spend your summer days relaxing in a backyard oasis created by Paradise Pools. We have the expertise to walk you through every step of the buying and installation process. Ready to take the next step? Contact us online or give us a call at 301-725-0005. For fun pool ideas and other safety tips follow us on Facebook, Twitter, Pinterest, Google+ and Houzz. This entry was posted on Friday, April 28th, 2017 at 2:03 pm. Both comments and pings are currently closed.